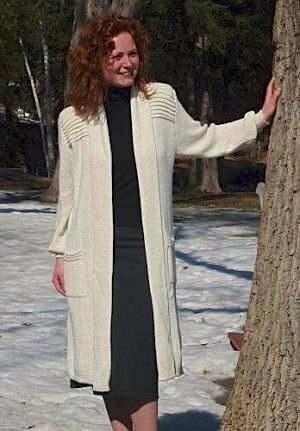 This unique alpaca full length sweater coat style features a detailed, pleated pattern across the shoulders in a jacket-style with long sleeves and a lapel-style neckline. The lovely trim, flanks both sides of this sweater, balancing and finishing the look. Truly an unrivaled style!